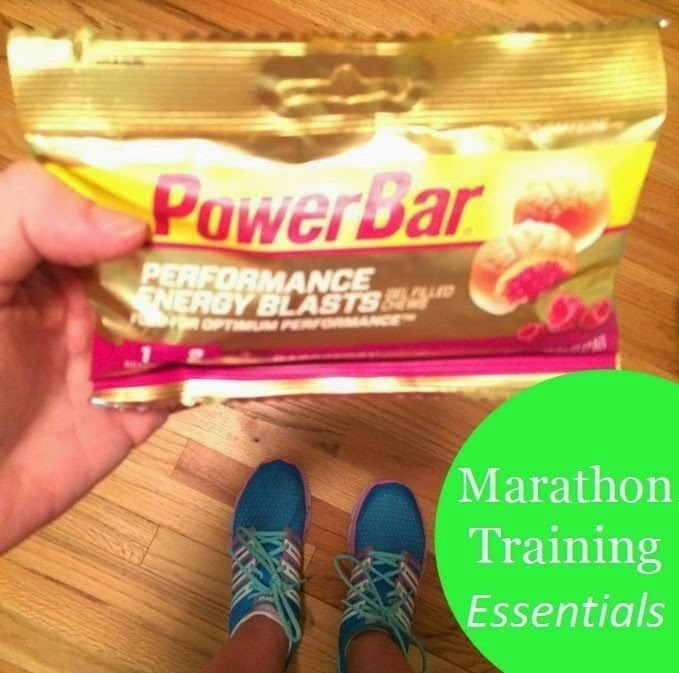 |PowerBar Energy Blast| I do not think I have tasted anything as good as these during a long run. They come 9 to a pack and depending on the run I may eat all of them. I try to space it out to eat one every 2 to 3 miles. They have protein in them and they are a carb, so great for a run! I get the raspberry one without caffeine. You can get these at Kroger. |Good Shoes| This is probably the most important thing you need. Running with run down shoes is the absolute worst thing you could do. Unless of course you are a fan of shin splints. I love my Adidas Clima Cool shoes, they are so light! (Pictured above). Also I know a lot of serious runners LOVE Brooks. (Brooks are on my wish list and I will probably be getting these next). |Gatorade| I have done zero to no research on if Gatorade even remotely helps you during a run. All I know is that it has electrolytes and that's good if you are sweating a lot. (Not that I sweat while running, this is hypothetical;) ) I am not one to grab a Gatorade on the regular, but during a long run this stuff taste like angel tears. I am actually amazed at how much i can consume of this stuff during a run. |Fanny Pack| aka runners belt. This is the best invention ever. Honestly though if I were to do it all over again, I would get a camel back backpack (here). Nonetheless, the fanny pack does come in clutch. I have this one, which I got it at TJ Maxx (was not even looking for one at the time). I think I would get one with 4 water bottles, but this is still doable. It also holds my ID and snacks. Never thought I would say that I love a fanny pack! |Band aids| My feet were covered in blisters. Between rucking, marathon training, and wearing high heels, I do not think that my feet will ever be blister free. I bought a bulk pack and I am already half way through! |Map My Run| I have no clue how people run long distance without this. This tracks everything from your mileage, to pace, and split time. It is a god sent! |Quest Bars| I do not know about anyone else, but I am constantly hungry while I have been training for a marathon. Quest Bars are so yummy while keeping me full and satisfying any sweets cravings. The cookie dough actually taste like cookie dough!